Every business today needs to have a good website in order to succeed online and in the physical world. The design of your website plays a huge role in how users view your business. You may have heard from different web designers about what you should and shouldn't do with your website. 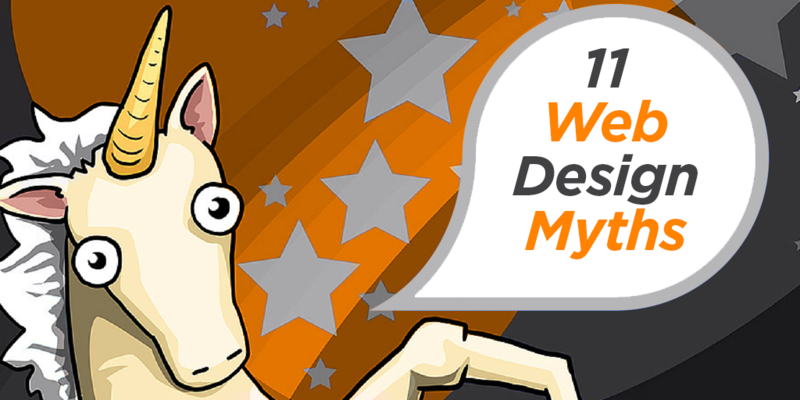 Here are our top web design myths to clear the air and help your site succeed! Mobile devices aren't going away, and their number will only grow. They have taken over desktop devices in terms of widespread use and now account for over half of our time spent online. Even if only 20% of your visitors come from a mobile device, you could be losing one in every five visitors to your site because it wasn't optimized for their device. DIY websites are popular because they offer a low-cost way for individuals and startups to create a simple website. Unfortunately, these websites are also a dime a dozen. They offer little customization or control and only have basic SEO tools. If you want to have a serious business you need to have a serious website. It needs to look professional and be unique from other websites so that visitors remember your brand and site. If you're looking for a low-cost option, consider a professional that offers affordable semi-custom websites, so you can get the best of both worlds. Flash may look cool, but these days it doesn't work on most devices, rendering it pretty useless. Search engines also can't read inside Flash, which hurts your SEO. Apple devices especially don't support Flash, and it's safe to say that Apple isn't going anywhere anytime soon. Stock photos have their place, but you want to use your own visuals too. Your own imagery helps make your site different and tell your unique story. Just make sure your images are professionally done. If you have to use stock images, have your designer touch them up and customize them so they aren't boring old stock photos. Looks are one thing, but if you can't find any information you're looking for, then what's the point? You want to give the user a good visual experience, but it's just as important for the content to tell the visitor and search engines what the page is all about. Design is all about the marriage of message and visuals - both components are critical in gaining an audience and developing trust around your brand. Unfortunately, overloading the features and options can make a site much more complicated for users. You want to give them the best user experience while on your website, so make it easy for them. Give them clear navigation and calls to action so they know what to do. Website accessibility is the process of removing barriers so that anyone with a disability, such as hearing or vision impairments, still gets the same access to the content of a website as anyone else. Depending on your target market, you need to have accessible design. It also helps on mobile devices when buttons and call to actions are a bit bigger so that the user doesn't have to annoyingly zoom in just to click on something. A great designer will be able to come up with an accessible design you should love! 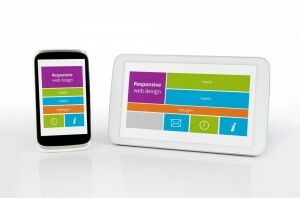 Your site is responsive. That's good enough, right? Wrong. There are so many different devices out there today, and each one is a little different. While it's not feasible to test your site on every single device, you should definitely test on the most common ones. Make sure all the basic aspects of your design are working for the majority of your users. Don't just assume that a site that looks great on your phone will act the same on a tablet. While your homepage may be your most visited page, all of your internal pages combined will be visited many, many more times and you should focus on all of them. Your homepage is usually the first visitors will see, and it's the first impression someone will get of your brand so make it count. But don't forget that a content-rich website is the one that Google (and your prospects) will value most. You need the content to determine where and how everything is going to be laid out. Without it, you will just end up changing design and layout later in the project. So be sure to have the content planned out first. White space makes for a clean and simple look to websites. It allows you to use bold text and bright colors to make your message stand out to readers. You want your calls to action to stand out more, giving the user an idea of what to do next, which makes the use of white space necessary for web design. Hopefully, these help if you are building a new website or re-designing your current one. Also, check out our complete business web design guide to help you with your next website project. Just keep in mind, if your web developer is spouting these myths and saying that you don't need responsive or that flash is great for web design, then you should find a new website developer. Editor's Note: This post was originally published in December 2014. We thought you might have missed it the first time around, so we updated it with the latest information for you.